Gramatskiy & Partners is known as a trustworthy firm, which has been successful in providing legal assistance in various areas since the time of its establishment. Gramatskiy & Partners is recognized as one of the leading law firms in Ukraine introducing high standards of legal services and performing exceptional proficiency. From the moment of its establishment in 1998, Gramatskiy & Partners acknowledged business legal practice as its own professional vocation, mission of its serving to public. The unique experience of acquired legal practice today allows the firm to advise more than hundred Ukrainian and foreign companies providing complex aid and assistance in legal matters, combining classic legal practice traditions with modern international standards of the legal services market. Being a universal law firm, Gramatskiy & Partners made its name in the capacity of a qualified provider of comprehensive legal service. Combination of scrupulous approach and customer-centred orientation in the means of rendering legal assistance enables the firm to individualize a wide range of its services for the business of every certain client. Gramatskiy & Partners has for 16 years been successfully developing its practice in the field of business (commercial) law, foreign economic activity, and the practice of international private law. The pride of the firm is its staff — the team of professionals who stood at the outset of the firm and worked their way up from its foundation on the local and foreign legal service market and continue working for the benefit of the firm and of its honourable clients. Our experts provide tailor-made advice on many different practice areas, including commercial, corporate, tax, foreign economic activity and foreign investments, copyright, mass media, labor, securities and stock market, disputes resolution, mediation, insolvency. Furthermore, many of the firm’s clients have been successfully represented before public authorities and courts in civil, commercial, administrative and criminal cases. Pragmatism and practical orientation are characteristic features of the projects, developed by Gramatskiy & Partners: the firm bears responsibility for every memorandum and for every legal opinion, presented to the client. We structure and describe every legal procedure, as if the firm itself were to implement it in practice. In addition Gramatskiy & Partners pay special attention to the guarantee of confidentiality of the projects which assist, as we understand the importance of information security for our clients. We understand the great responsibility we bear with regard to every client and society as a whole; we adhere to high standards of legal profession and attorney ethics; we conceive attorneys and high-class professionals as the main advantage and merit of the firm and its clients — as the most valuable asset. Our major mission is to defend client’s interests and introduce legal culture in society, striving for the supremacy of law in Ukraine. Effective conducting of commercial activity and business as a whole, being a necessary factor means appropriate organization of corporate structure and engagement in cooperation between its different levels. Thus, legal regulation of activity of the company can be divided into two levels: legislative level, including system of corporate legislation and internal level of each legal entity — local corporate regulation. In Ukraine sources of the first level are, first of all, the Civil Code of Ukraine, the Economic Code of Ukraine, On Business Associations Act of Ukraine, On Joint Stock Companies Act of Ukraine and the subordinate legislative acts adopted according to them. This array is an obligatory legal framework for business activity of the companies registered in Ukraine, however, its existence does not mean lack of alternative ways of regulation. In its turn, the level of local regulation means formation by the company, its participants and management bodies of the individual rules binding only within its activity. In our view, until recently in Ukraine the importance and volume of such regulation were significantly underestimated for a number of reasons. The fact is that existing laws do not allow to settle in full all characteristics of relations of management bodies of a joint stock company, of limited liability company, and of other types of legal entities. Therefore, development and adoption of concrete legal mechanisms of management at the level of the company itself are extremely urgent in the market. First, an essential local legal document of corporate governance is Articles of Association of the legal entity. In Ukraine Articles of Association are obligatory and together with any amendments and addendums to it are subject to state registration. Certainly, the correct execution of the Articles of Association and accurate determination of powers of general meeting of participants (shareholders) in it, of management body (director), of audit commission — is extremely important for each company. However, past experience shows that the state registrars in Ukraine very reluctantly agree to include in the Articles of Association non-standard provisions not provided by legislation. Moreover, Articles of Association of the Ukrainian company according to paragraph 2 of section 143 of the Civil Code of Ukraine of 16 January 2003 are open for acquaintance and its copies are quite often provided to the supervisory authorities and contractors of the company, which is not always desirable for preservation of confidentiality of corporate relations. In the last few years in Ukraine adoption of so-called Model Articles of Association is actively up for debate–unified documents for each of the organizational and legal forms of legal entities. For the use of Model Articles of Asso- ciation in accordance with the law, a general meeting simply has to make decision on its implementation. Nevertheless, despite the external simplicity of use such Model Articles of Association have still not become widespread in Ukraine. The reason for this is inflexibility of its fixed provisions, and also that law-enforcement practice has not yet developed unified approaches of use of such a model document in company activity. Apart from the Articles of Association it is possible to resort to a number of alternative ways of local corporate regulation of company activity as a whole, and so as of separate aspects of commercial activity and management. Local corporate regulation covers a set of internal documents accepted by the company or by its participants (shareholders), called to promote achievement of various purposes. Herewith, the main directions are as follows: a) organization of company’s activity, business and relations with contractors and partners of the company; b) definition of confidential mode of information use; c) settlement of features of relations between participants (shareholders) of the company by the conclusion of so-called shareholders agreements. In the course of running the business by the company, the need arises for adoption of internal orders on the enterprise concerning features of activity of various structural divisions, implementation of projects, etc. Such orders are obligatory for officials and employees of the legal entity whom they are addressed to and have an individual nature. Besides, provisions can be accepted on activity (procedure of formation, decision-making and other aspects of activity) of each of the management bodies of the company — on general meeting of participants, on board of directors, on supervisory board and on audit commission. Their correct execution will allow to avoid in the future of problems connected with a lack of accurate procedures, and will differentiate responsibility zones between management bodies. It is gradually becoming standard for companies of medium and big business to accept the whole complex of legal measures to local settlement of issues of nondisclosure of information with limited access. It means that, firstly, approval by the company of a special provision on the order of use and nondisclosure of confidential information (or information which is a commercial secret), and, secondly, conclusion with certain employees of individual contracts with obligations of non-disclosure of any professional data. Moreover, adoption of the special code on corporate governance is urgent for the joint stock companies as it is widespread in the West. Previously, the primary majority of Ukrainian companies had no code on corporate governance, attaching no importance to its existence. However, item 23 of Paragraph 2 section 33, item 5 of Paragraph 1 section 77 On Joint Stock Companies Act of Ukraine 17 September 2008 determined that approval of the principles (code) of corporate governance of the company appears to be the exclusive competence of the general meeting of shareholders, and joint stock company among other documents is obliged to keep (it means to have!) principles (code) of corporate governance. At the same time, at present, legislation does not provide responsibility for rejection of the corporate code directly. A separate part of local documents makes various agreements between participants of the legal entity. Shareholders Agreements are at Gunpoint? It is known that in the minds of investors Ukrainian companies are not the most transparent and attractive objects for investment of capital because of considerable financial and legal risks. And the political situation remains unstable. Foreign investors want to see clear to them internal “rules of the game” and understand that they conform to existing international standards and promote efficiency of use of their capital investments. Herewith, shareholders agreements serve as the instrument of minimization of the risks connected with changeability of Ukrainian legislation, and also fix individual rules of the organization of important aspects of a company’s internal activity. Shareholders agreements gained their origin and development in countries of the English system of common law. Shareholders agreement and amendments to it, unlike statutory documents, are not subject to registration. They are to be entered between participants (shareholders) at a stage of registration of the company or after it and most often regulate issues of participation in general meeting, voting procedure and decision-making, separate rules in the event of alienation of shares, characteristics of promotion by participants of candidates at the positions in management bodies, procedure of withdrawal of the participant from the company, settlement of disputes. In compliance with section 29 On Joint Stock Companies Act of Ukraine shareholders are entitled to enter into agreements under which additional obligations are assigned to them, including obligation of participation in general meeting, and responsibility is provided for non-compliance with such obligation (provided that possibility of entering such agreements is provided by the Articles of Association of the company). It is forbidden for participants of a limited liability company to enter into similar agreements. At the same time, the primary majority of such agreements in Ukraine were entered into with the participation of foreign investors (individuals and legal entities) and on the basis of section 5 On Private International Law Act of Ukraine of 2 June 2005 were regulated by the foreign law chosen by the parties of such agreement (as a rule, English law). However, according to the Recommendations of the Presidium of the Superior Economic Court of Ukraine of 28 December 2007 On the Practice of Application of the Legislation when Hearing Cases, Arising from Corporate Disputes No. 04-5/14 (item 6) the agreement between shareholders on submission of their relations and of the relations with joint stock company to the foreign law, appears to be insignificant because in the contradiction with public policy of Ukraine. Moreover, subsequently this position was supported by the Plenum of the Supreme Court of Ukraine in item 9 of the Resolution of 24 October 2008 No.13 On Practice of Consideration of Corporate Disputes by the Courts, where it was specified that activity of joint stock company, relations between shareholders are governed only by laws and other normative and legal acts of Ukraine. Above-mentioned judicial acts, despite their advisory nature, significantly influence the practice of corporate regulation in Ukraine, especially at judicial protection of rights and duties, arising from such shareholders agreements. It is worth paying attention to the fact that after all, using the correct approach to the content of shareholders agreements with careful coordination of their provisions — such agreements admit the right of Ukraine and remain an effective instrument of corporate regulation. At present, possibility of their submission to foreign law remains undecided. 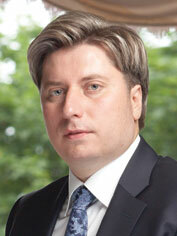 Thus, taking into account frequent changes to the legal framework of activity of legal entities in Ukraine, coordinated use of all existing instruments of local corporate regulation will enable the provision of accurate interaction of governing bodies by the legal entity, protection of the rights of founders, shareholders, investors of the company and partner nature of their relations.